Now that summer is in full swing, outside parties have become a weekly happening. And many kids parties include piñatas. 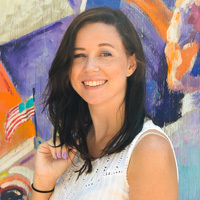 My kids love them, and why wouldn’t they? They get to take turns whacking an object that candies and toys pour out of once the piñata has been cracked open! A total game changer in my family has been the DIY paper bag piñata. When I was growing up, we made piñatas scratch. My parents would go through the whole time-consuming papier mache process: they’d blow up a balloon, paste over it with sticky strips of newspaper, etc. 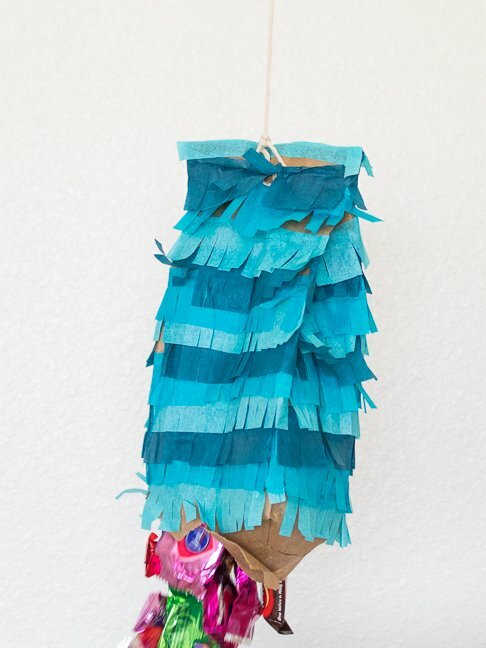 I still love the idea of traditionally made piñatas, but it’s hard to find the time to make them and they are incredibly messy. Not to mention, they’re actually really hard for little kids to break! 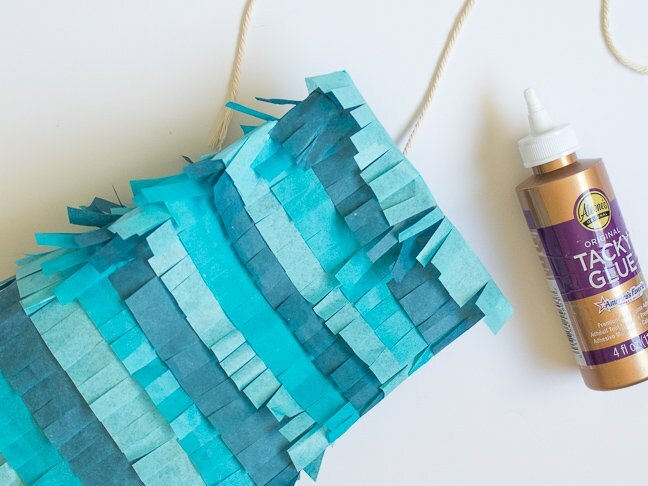 So when I came across a DIY paper bag piñata craft, I got excited. 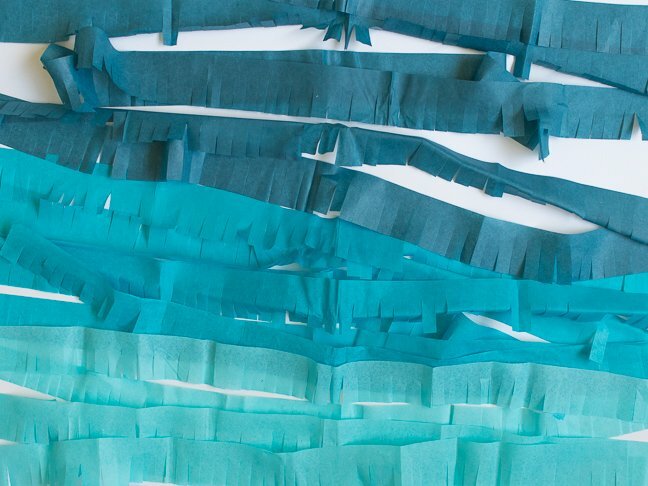 If you cut up a bunch of tissue paper strips and fringe them, you can let kids go wild decorating and personalizing them. 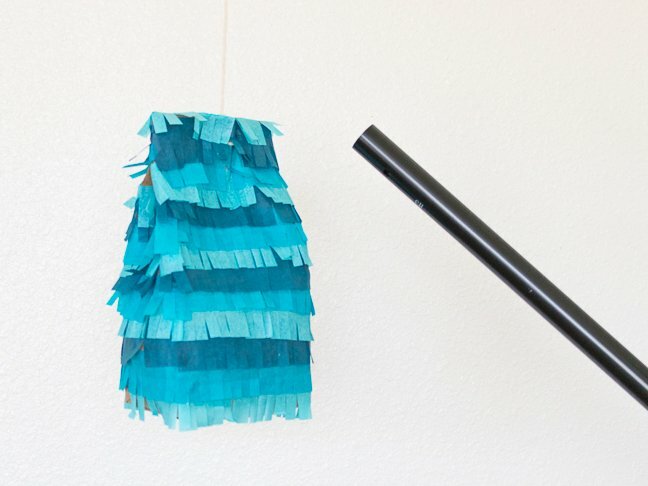 Who doesn’t want a personal piñata full of candy and toys, right?! 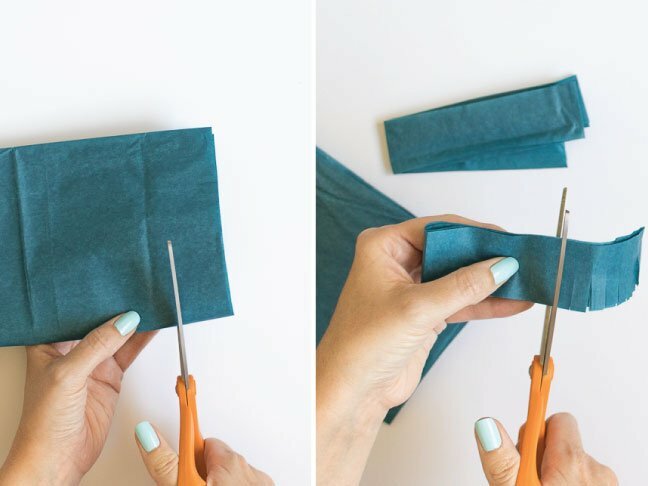 Step 1: Fold the tissue paper in half, then in half again. 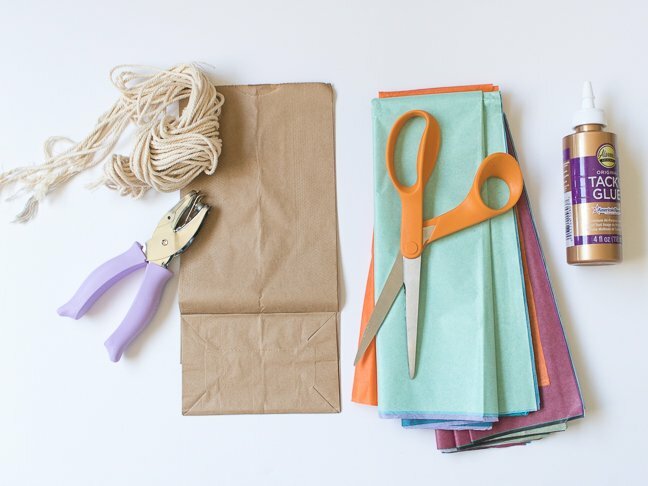 Cut 2 -inch strips of tissue in a variety of colors or shapes. Step 2: Cut fringe along one edge and unfold the tissue strips. Repeat with about 12-14 strips. 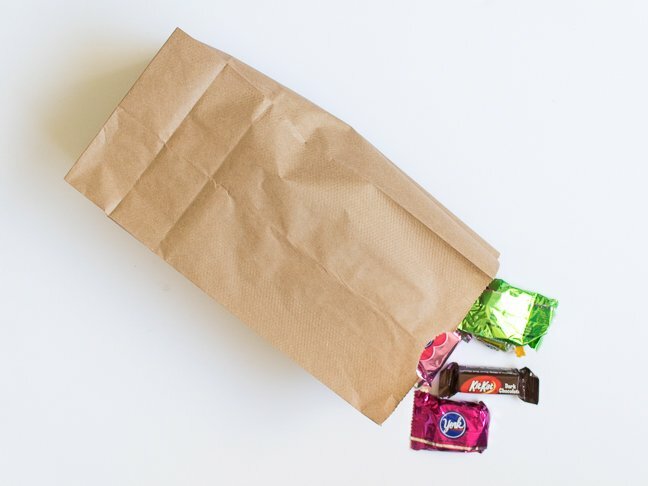 Step 3: Fill a paper bag with candy or small toys. Step 4: Fold over the top about 2 inches. 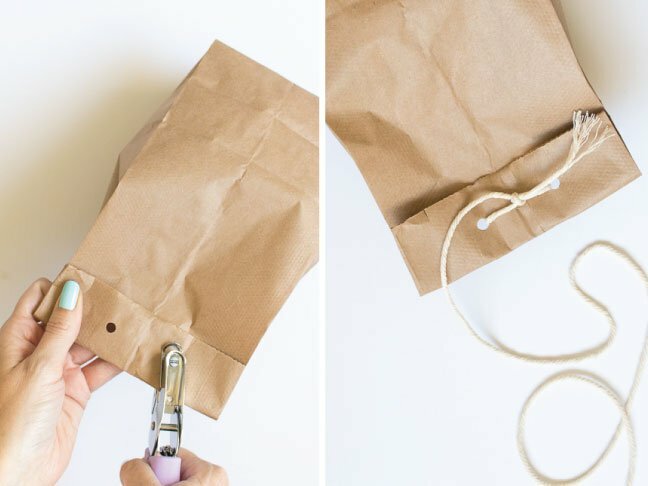 Punch two holes through the flap and tie tightly with string, leaving an excess for hanging. 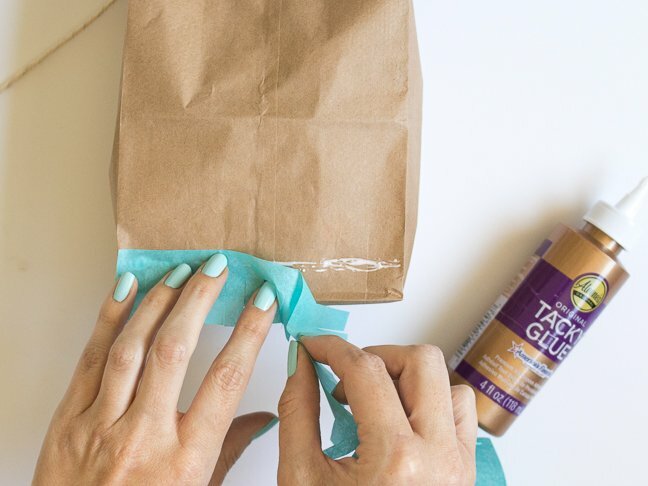 Step 5: Starting at the bottom, glue the strips of tissue paper all the way around the bag, trimming where they meet again. Then repeat, layering the strips on top of each other. Step 6: Layer the fringed strips all the way up the bag and hide the string. Step 7: Once the glue is dry, the piñata is ready to hang!